It all sounds very exciting and pretty simple and straightforward, doesn’t it? But it’s not quite; it’s a rather complex topic. The reason why is because nitrate is still a relatively new subject and the research is still in its infancy. People are still finding out what it can do, how we can utilise it and how it can be incorporated into cycling. Beetroot juice has been hot news in the world of supplements in the past two years, as that was where the influences of nitrate were first discovered: the first research papers, which looked at nitrate and its positive influence on cardiovascular system and performance, used beetroot as its main source of nitrate. It was these papers, which prompted follow-up research also looking at beetroot, that caused a surge in beetroot supplements. But why beetroot in the first place? Well, it’s thought that beetroot juice contains very high levels of naturally occurring nitrate, which, according to research papers, can produce remarkable physiological benefits for endurance athletes such as cyclists. Much research has shown that six days of beetroot consumption – half a litre a day – can reduce the amount of oxygen needed by exercising muscles to sustain a given sub-maximal workload, thereby increasing the muscles’ efficiency and tolerance to high-intensity exercise and extending endurance. Recent, more thorough, results have indicated that when beetroot is consumed, improvements have been seen in average power output, cycling efficiency and time to exhaustion, which is staggering. But what does that mean in terms of actual performance? In February of this year, a Dutch study wanted to find out. 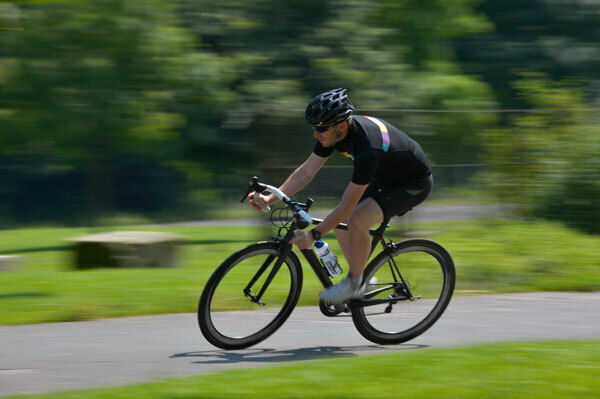 Published in the international journal, Nutrition Exercise Metabolism, they wanted to see if this could be translated into real performance, so they took 12 trained male cyclists and asked them to perform two trials each, separated by 14 days. Each trial consisted of 30 minutes cycling at 45 per cent of max power and 65 per cent of max power, followed by a 10km time trial. For six days before each trial, the cyclists consumed either 140ml per day of concentrated beetroot juice or the same amount of a placebo. The results were quite amazing. The oxygen required to sustain sub-max exercise was lower when the active beetroot juice wasconsumed. More amazing still was the finding that the active beetroot juice significantly enhanced time trial performance, where the average time recorded fell from 965 seconds to 953 seconds. The average power output during the time trials also rose from 288 watts in the placebo trial to 294 watts in the active beetroot juice trial. Although a reduction of 12 seconds over 10km might not sound much, it translates to 19 seconds over a 10 mile time trial and a minute over a 25 mile time trial – just from consuming beetroot juice. There’s no doubting that nitrate holds substantial benefits. 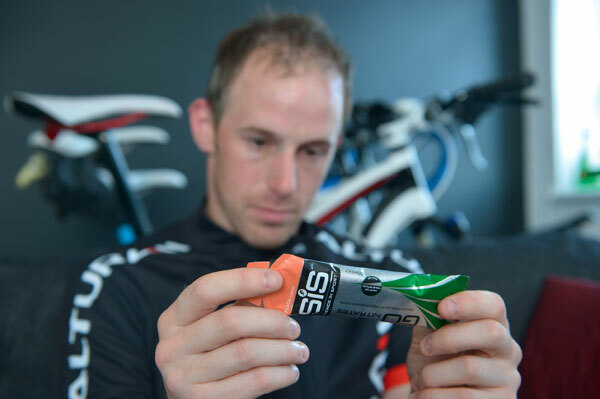 But when Cycling Fitness sat Tim Lawson, creator of SiS, and Dr. Niamh O’Kennedy, R&D Director down to find out more, it’s clear that it’s not as simple as necking a pint of the red stuff. “We’re looking for good-quality, consistent, safe sources of nitrate. Beetroot is not the best source of nitrate and we need to dispel that myth,” says Lawson. “People tagged onto beetroot juice, because one of the first studies used organic beetroot juice and stated that it’s a reasonable way of getting it into your diet. But it’s not your best source of nitrates. In fact, when you start analysing sources for content of nitrate, it’s gets very interesting. “We started analysing how much nitrate was in fruit and veg from the supermarkets. And, while you can get the EU averages for spinach, rocket, lettuce and beetroot, the items you get from the supermarket might have next to nothing. It varies so much: it depends on the soil conditions, light conditions… One piece of rocket could look healthy, but it could contain no nitrate. “The deal with the gel was to make something that wasn’t as nasty as beetroot,” says O’ Kennedy. “Something that was equally standardising. It’s the nitrate we want, not the beetroot or any other source for that matter. 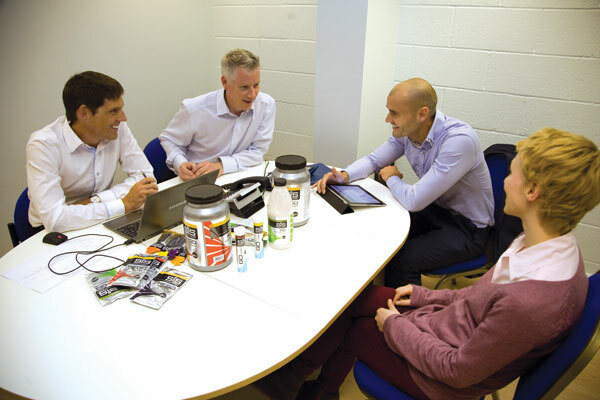 Sitting down with two experts in the field of sport science and nutrition who have a tendency to finish each other’s sentences can be quite heavy-going. Nitrate, nitrite, nitric oxide; let’s start from the beginning. How does it all work in the body? “Firstly, you take in nitrate from a source,” says O’ Kennedy. “You metabolise this to nitrite via a little colony of bacteria that sits under the tongue which we swallow in our saliva, where it will then be converted to nitric oxide in your stomach which will then be available for tissue use. “Nitric oxide was discovered along with all its important functions around the 1980s,” says Lawson. “It was thought that the only way of making it was via the amino acid arginine and that gave way to all these body-building nitric oxide-enhancing supplements. But if it worked, it maybe worked acutely once, but tended to do very little afterwards. Then in the late 1990s, they discovered that your body doesn’t try to eliminate nitrate or nitrite; it tries to keep hold of it. And they found this pathway that was able to make nitric oxide was via an inorganic dietary nitrate – and that’s really new. And that’s what’s exciting. After sitting down with the guys from SiS, it’s clear that something is happening here. A tide is changing in sport performance and we’re on the edge of something new. What’s more interesting is that no one seems to know how far it can go. “We’re really excited,” enthuses Lawson. “Over the years, there have been lots of studies that have made an assumption of a linear relationship between the amount of work you can do and the amount of oxygen you can consume – and that’s reflected in heart rate. Whereas nitrate studies have shown an improvement in efficiency. is a good way to get nitrate into your body in a small amount of volume. What we must remember is that Lawson and O’ Kennedy aren’t fantasists who live in dreamland. They’re doctors and sport scientists, who are respected more than most in this area. When they make claims like this, you can’t help but listen and start to think about it seriously. Can nitrate really improve performance that easily and quickly? The debate has been going on for years and research is still being conducted on just how dangerous nitrite is for the body. Many health experts believe it should be avoided at all costs, while others state that it’s not as harmful as some people lead you to believe. But it does cast a shadow over the whole debate. “We did a whole lot of work on making sure the active ingredient is safe and stable, that we’re not converting it into nitrite,” says Tim. “You can’t have nitrite in food and you really have to regulate and watch it. Nitrite in high enough doses is acutely toxic. Spinach, for example, has tons of nitrate in it. But if it’s not stored properly, cooked and reheated, you could end up with lots of nitrite, which is serious.